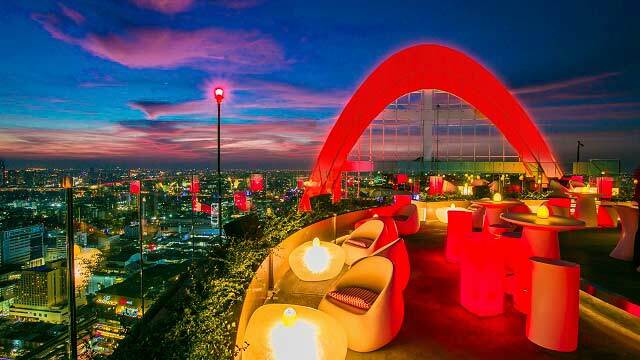 The Red Sky Bangkok rooftop bar is situated amid the famous shopping malls Siam Paragon, MBK and Central World in Bangkok. 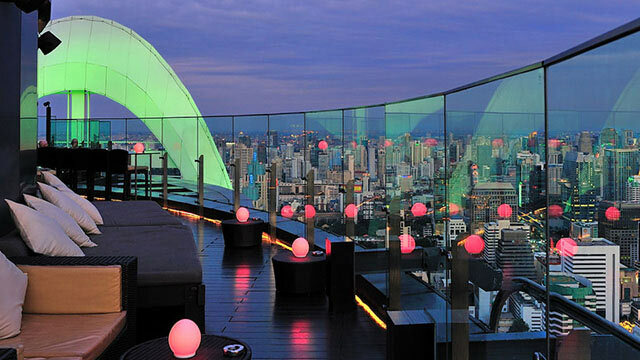 The Red Sky Bar Bangkok is a perfect rooftop bar to visit and relax with a drink in between all the shopping. 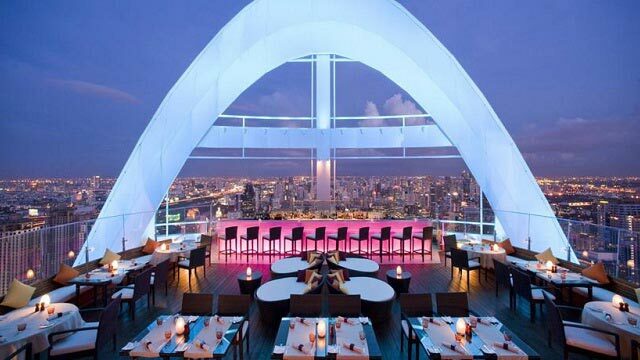 The terrace offers a superb 360-degree view of Bangkok and its skyline. 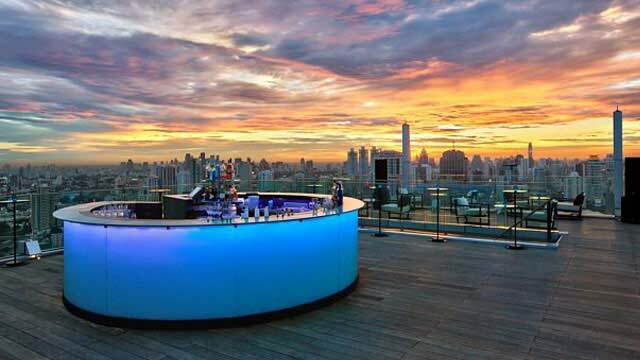 Up at the Red Sky rooftop bar, you can not only order signature cocktails from the extensive cocktail list but also fantastic food from the rooftop restaurant. Superb cuisine made to perfection, including American Wagyu Beef and a Surf & Turf that cannot be missed! 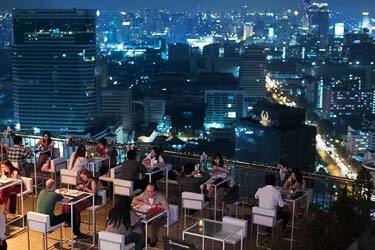 Red Sky often ranks as the best rooftop restaurant Bangkok has to offer. 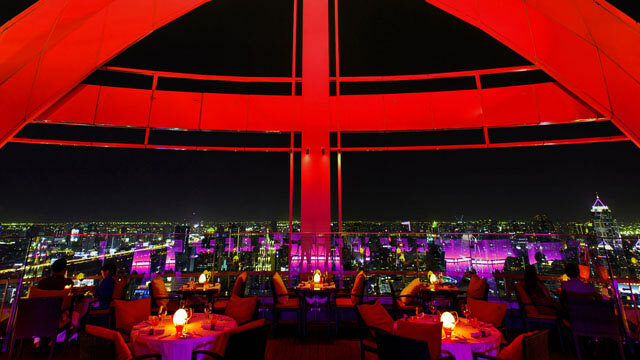 The Red Sky rooftop bar is situated over two levels, and for the restaurant part it is recommended to make reservations in advance. 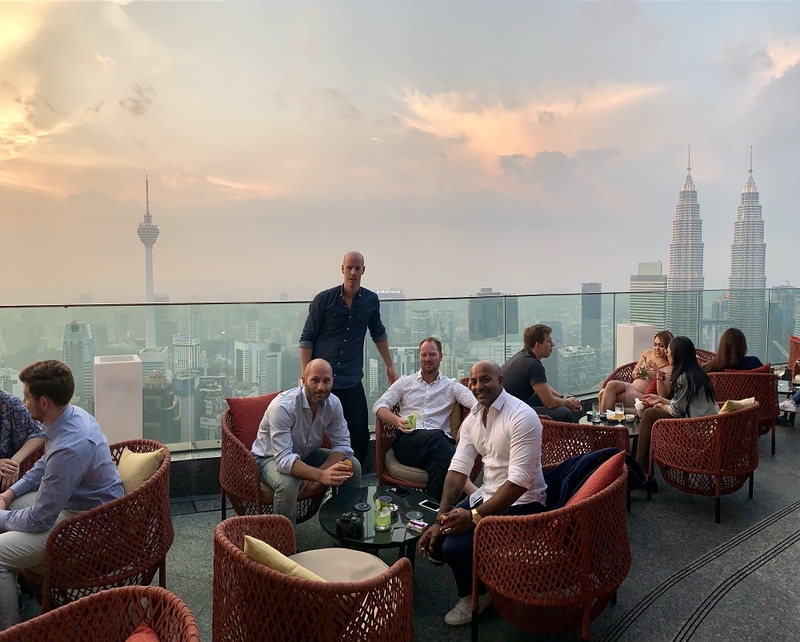 The bar part has a first come, first served basis, so just show up when you please. 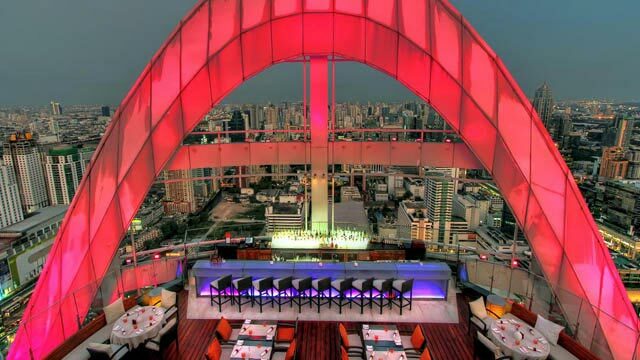 But getting here early is prefered for three reasons: more choice of seats, watch sunset and promotions on drinks. 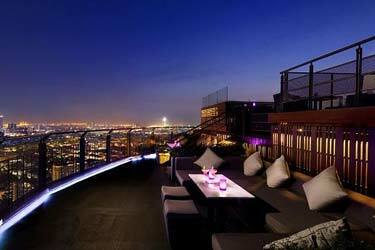 If you want to take your rooftopping up one level more, you find the CRU Champagne Bar just above Red Sky. 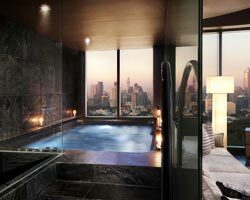 Both of them well worth a visit! 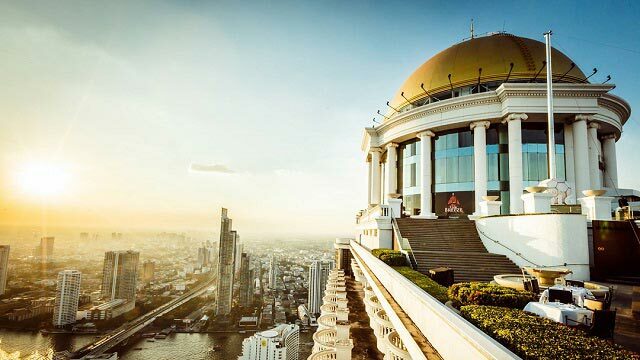 Tip: Book your stay at the 5-star Centara Grand At Centralworld and enjoy close access to both Red Sky and CRU Champagne Bar, along with a great rooftop pool. 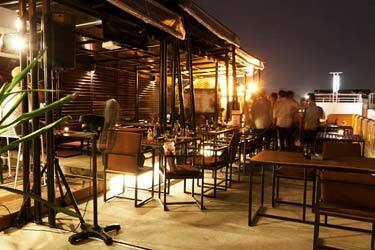 Read our review about our rooftop dinner we had at Red Sky in Bangkok. 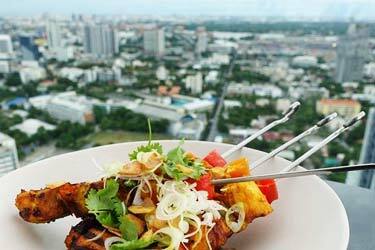 Fantastic food and majestic views.